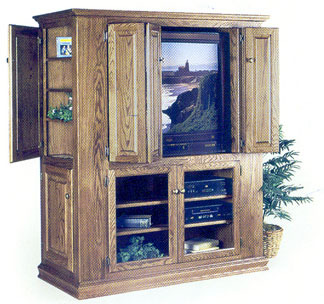 Our newest entertainment center is built by the Amish in PA, and features 2 doors on each side to allow storage of your DVD’s, VHS tapes, Video Game Media or whatever comes to mind. Shown here in oak, with bifold doors. The unit is also available without the bifold doors.